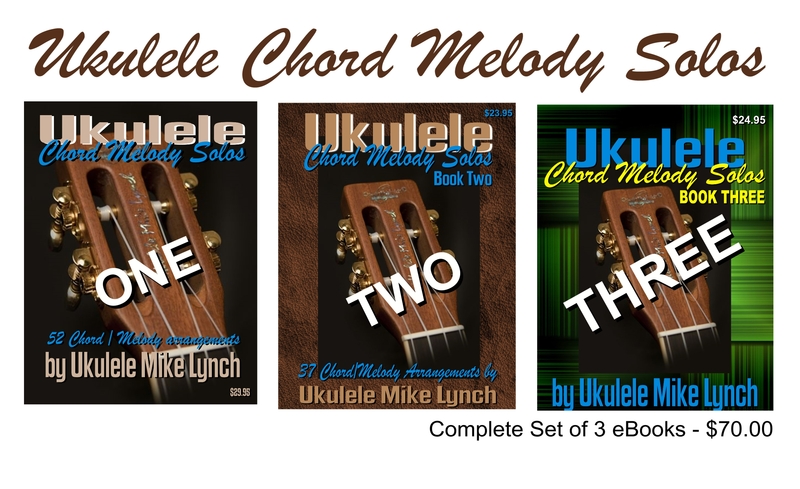 Now all THREE of the Chord/Melody collections available as a combo package at discount. 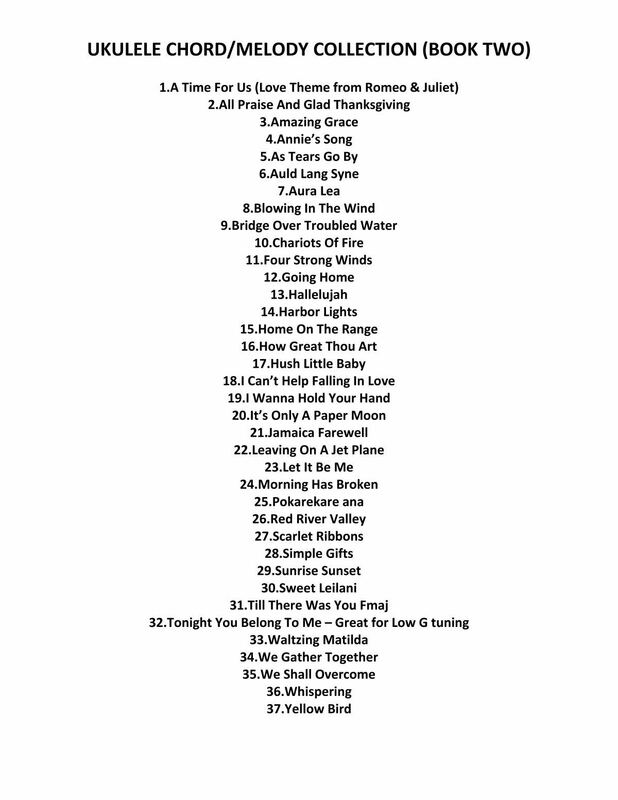 . .
Below are the table of contents of each of the collections . . .
button on the UKULELE MIKE website: http://www.ukulelemikelynch.com . . . Once the payment is made, paypal will give you an opportunity to add more information such as the name of the eBook or collection. It will then be emailed to you within the day. . . The Chord/Melody collections are a perfect way to get into solo instrumental playing. No fingerpicking is involved. . . Just the simple use of the thumb is all that’s needed. Of course, the eBooks can be purchased separately as well.